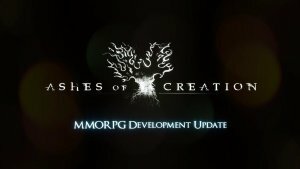 Ashes of Creation is a 3D fantasy MMORPG developed by Intrepid Studios Inc. where players can join a living, breathing world! Cities will rise and fall, populations will change, and history will be written with every player action. As populations grow different quests will become available, their needs will change, and secrets will ultimately become unlocked. The world’s NPC structure will change in real time and players will be able to destroy what they’ve created, setting the guidelines for future developments. New populations will emerge, but with them will come strife. Political strife and intrigue are sure to play an important role in the ever-changing world you will become part of. One of the key components of Ashes of Creation is that players will be able to utilize a housing system to survey and develop land wherever they want throughout the world. Purchase your house and stick with other players in civilization or venture out into the wilderness to cultivate your own resources and supplies. Work your land as you see fit, focusing on animal husbandry, farming, or become your own smithy. Do you want to maximize profits or lead a more comfortable lifestyle? The choice is entirely yours! Players will also have the chance to participate in large-scale siege warfare where they will fight to gain control of castles. Sieges include even more elements than traditional MMO combat, having many moving parts and intricate design features. Groups of players who are successful in either defending or securing a castle will get the unique opportunity to take control of the surrounding lands and develop unique structures in their towns. Ashes of Creation is much more than a traditional MMORPG, giving players the unique experience of developing the world around them as they play. Quests will change, cities will rise and fall, and the fate of the world is truly in the players’ hands! Ashes of Creation began a new blog series recently, called "Know Your Nodes". Get ready to Know your Nodes! The Ashes of Creation development team recently published a blog post concerning the nature of castle sieging. Ashes of Creation's Creative Director Steven Sharif recently wrote a massive blog, going over what's gone on with Intrepid Studios. Most Anticipated Games of 2019! Description: Ashes of Creation is a 3D fantasy MMORPG where players can join a living, breathing world full of combat and land development where creating your own house and participating in large-scale siege warfare is just the beginning! This game takes all of the best pieces of these titles and puts them into one magical computer game.